Samuel Willard’s Pina Colada premix is a tasty tropical drink made up of white rum, coconut cream, and pineapple. It can be blended, frozen, or simply mixed with ice. 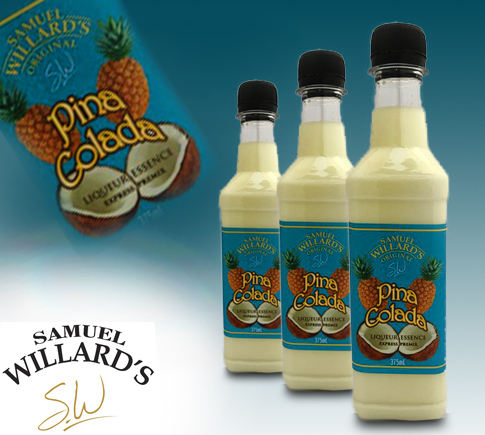 Samuel Willard’s Pina Colada Premix produces 1125mL of liquer from each 375mL bottle.